A Harris County jury on Friday handed a series of indictments to Arkema Inc., an international chemical company whose Houston-area plant exploded in a series of chemical fires after Hurricane Harvey left it under 6 feet of water. The indictments — which name Arkema North America, CEO Richard Rowe and plant manager Leslie Comardelle — charges that all played a role in “recklessly” releasing chemicals into the air, putting residents and first responders at risk. The charges carry penalties of up to five years in prison for Rowe and Comardelle and a fine of up to $1 million for the corporation. Last year as the floodwaters rose in Crosby — about 30 miles from downtown Houston — the refrigerated containers holding thousands of pounds of the plant’s chemicals lost power. Over several days, the chemicals became too hot and began to degrade, sending plumes of black smoke hundreds of feet into the air above the town. In the 11 months since the storm, lawsuits against the company have piled up, filed by first responders and neighbors as well as local government prosecutors. All allege that Arkema was negligent and failed to properly prepare for the storm. Residents were evacuated, but many allege that they have been sickened by the chemicals that seeped into the surrounding air and water. 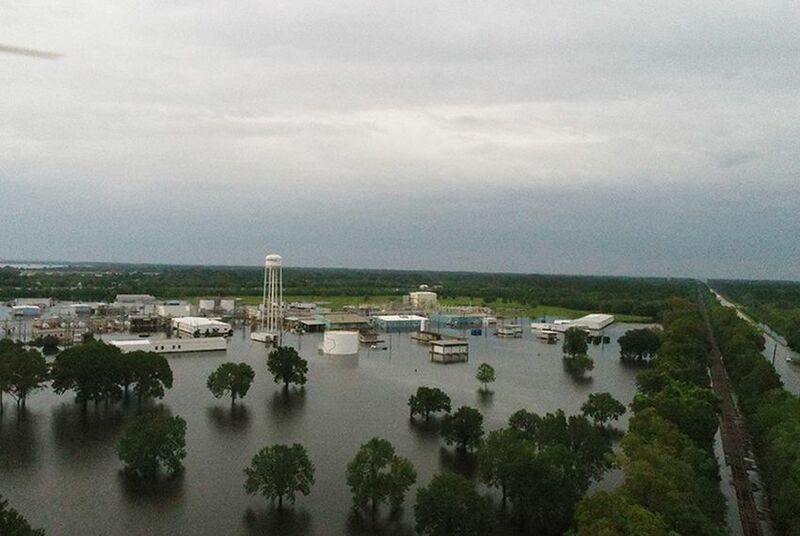 An investigation by the federal Chemical Safety Board — which has the power to look into such chemical disasters but not to enforce regulations or issue penalties — found that the plant was ill-prepared for such severe flooding.